A Succulent Life! : OK, I caved and sewed myself a cover! 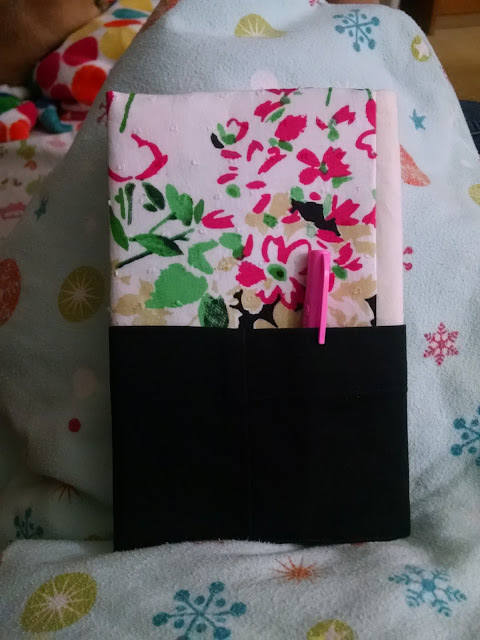 OK, I caved and sewed myself a cover! After searching literally hours for a pretty handmade journal cover, I discover the perfect one! I went to order it, but the difference between the dollar and whatever country it was in, it ended up costing too much. Still I thought I would order it. Then suddenly I said to myself, "What the ??? is your problem, Julie"!!! I have so much scrap fabric!!!! I had to convince myself I could do it! 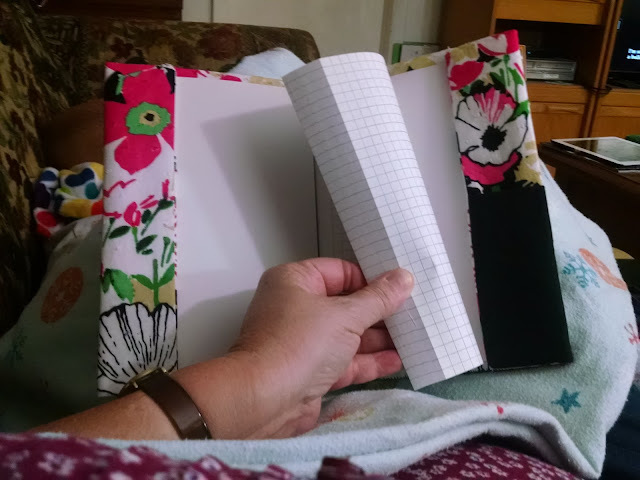 I jumped up, started measuring my journal, calculating, and picking out fabrics to coordinate. This floral pink, white and black is flocked, and it was a blouse, that had pin tucking on front. 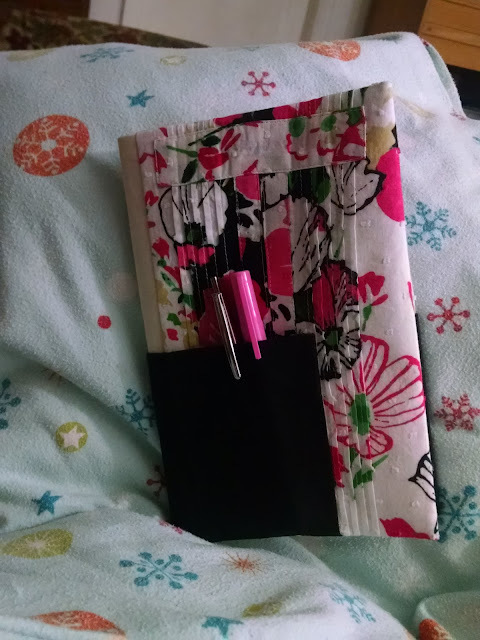 I decided my journal needed some interesting architectural details, so the pintucking would be on front. The spine is a natural muslin, and the black jean material is a pocket. The back. The black jean material continues around the spine, and across the whole back, which can hold papers, or pens, paperclips, etc. 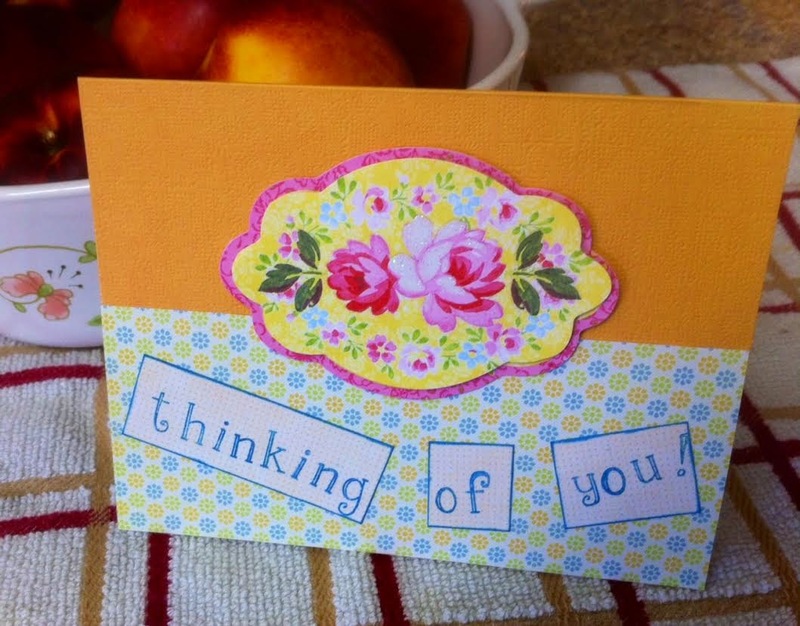 The inside is entirely made of the beautiful floral material. If the book were removed you could see it. I made flaps, so that the cover can be used on any A5 journal. I like how it turned out, with the use of the different textures of fabrics, and you know that pocket makes me very happy. 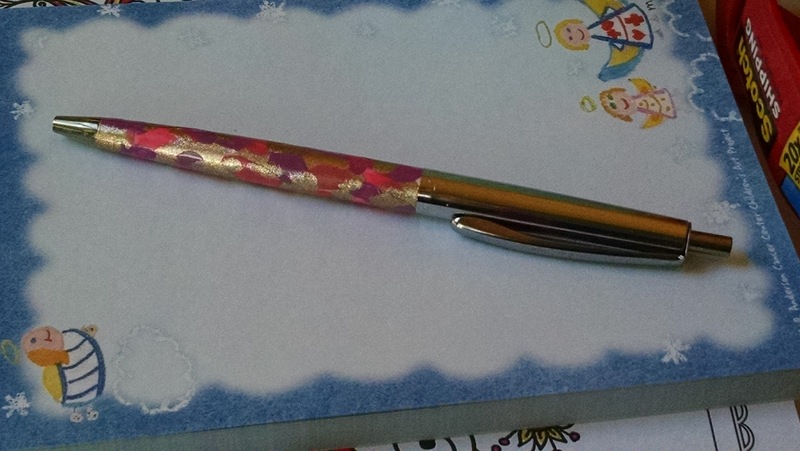 The pen I painted with nail polish goes with it perfectly! This project was a bit scary for me, but I'm so glad I tried it!! I love paper crafting, recycle crafts, a bit of machine sewing, and I love my chihuahua, weekend trips and mostly just having fun! 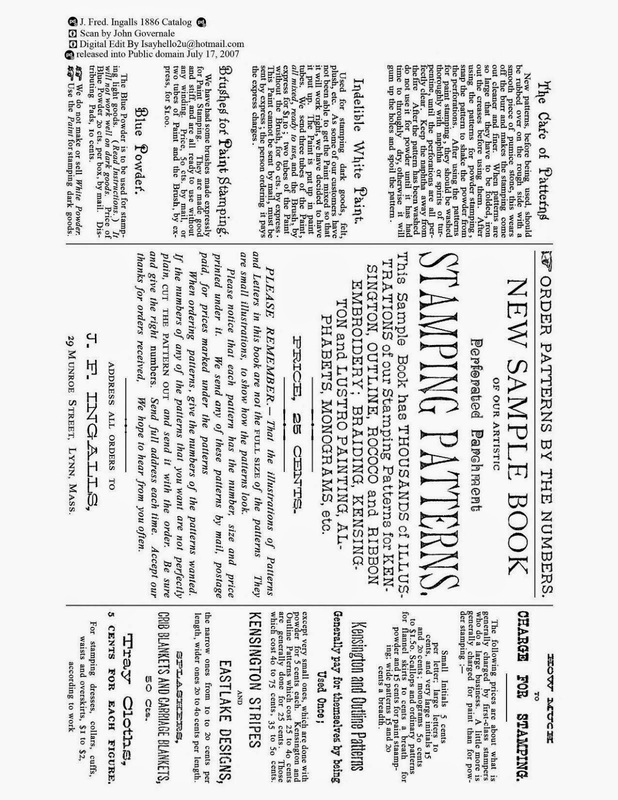 Public Domain Embroidery Pattern Book...amazing with pages and pages that can be enlarged by clicking on them! 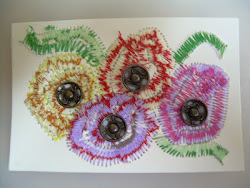 Click on sewn flowers for my ATC blog! Julie, Karen, and Ginny's ATC's!